Together in Faith is…a time for parents and children, from age three to grade five, to share the Sunday School Hour two or three times a year. Together in Faith is…a milestone program that connects families around the basics of Faith: Bible, Prayer, and Worship. It builds each year to nurture living, growing faith in our children. 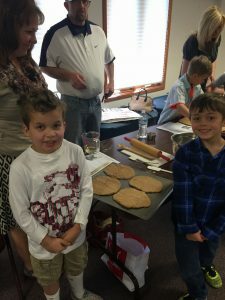 Together in Faith is… a unique program that engages parents and children in memory-making play and life-long traditions. Together in Faith is…an experience that draws parents and children close to each other in their faith and encourages them to make time for faith activities at home. Together in Faith is…a time to prepare children for leadership roles in worship that correspond with their current learning and skills. Together in Faith blends Bible stories, games, theme-related activities, and parent-child conversations creating fast-paced, active lessons that are as enjoyable for adults as they are for children. This will be a joyful time of playing and praying, when our children will show us how they talk to God and learn how God talks to them. This is a time for learning more fully the meaning of this prayer that Jesus gave us. This is the First graders opportunity to learn about God’s rules for us. Together, we’ll talk about ways we’re tempted to break God’s rules and discover how following God’s rules can make life good. First communion is a milestone in the life of a child. Whether they have already taken communion or not, this is a chance for them to appreciate and understand more deeply the mystery of Holy Communion. This class will be a time of serious fun. Through work and play, we’ll discover not only how to find our way around the Bible, but how to make reading the Bible a vibrant part of our daily lives. Fourth Graders have entered a new stage of competence and understanding of what they believe and they’re eager to share their beliefs with others. This will be a time to learn “The Apostles’ Creed” and to talk about what we believe. This is a time for families to grow as disciples while being good stewards of what God has given to us. Families will be taught the biblical foundations of being a steward, remind children and families the Source and Giver of all our possessions, and help them use their resources wisely. Pastor Kathy teaches these classes during the Sunday morning education hour. Starting Sunday School is an important faith milestone! This event introduces young children and their parents to worship and the worship space. Children will learn that they are valued members of the worshiping faith community, and they will begin to feel at home in worship by learning about the different parts of the sanctuary and how they are used. We want this to be a time to encourage and support families worshiping together and to make our children feel welcomed in our church. In Baptism, promises are made to put in the hands of our children the Holy Scriptures. As a congregation we help parents of 3rd graders with this promise by providing the family with a Bible. Parents and other relatives are encouraged to highlight verses that are meaningful to them and then the parents present the Bible during worship in September. We offer three lessons to the children and parents on how to read scripture and the importance of the Bible in our lives. These classes will be held in February. Cross of Christ celebrates an open table for the sacrament of Holy Communion. 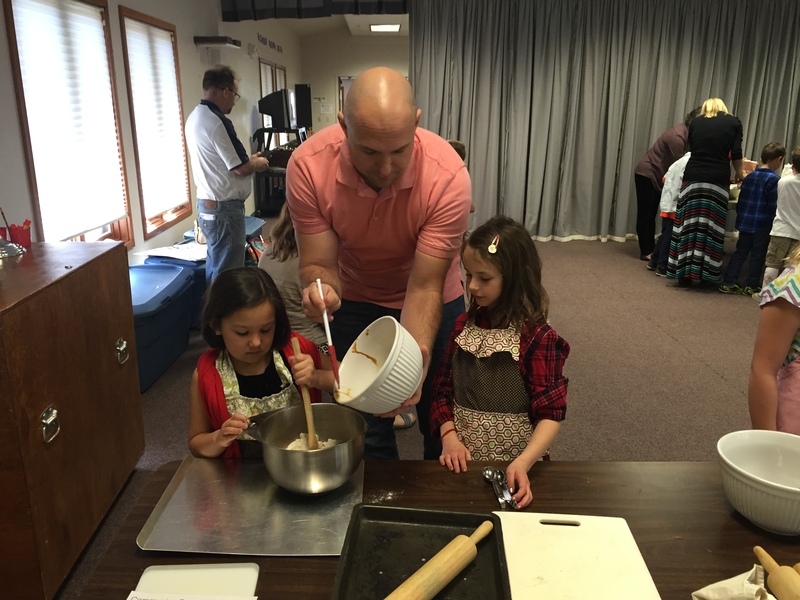 Everyone is welcome at the Lord’s Table, including children. We believe that this is a family decision as to when a child is ready to take their first communion. To help families with that decision we provide first communion class instruction to students in 2nd grade and for older youth and families who would like to and have not yet received first communion instruction. These classes will be held in the Spring and First Communion Celebration will be during the Maundy Thursday worship service.